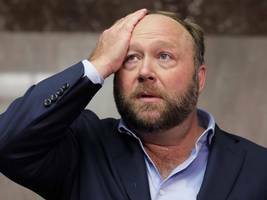 · *Instagram is investigating a post by Infowars conspiracy theorist Alex Jones that has stoked anti-Semitic hate. * · *Jones posted a painting by US artist Mear One, which depicts six suited men..
▶ Videos for "Semitic Tropes"
Congresswoman Ilhan Omar is at the center of a storm for a second time over comments viewed as anti-Semitic. 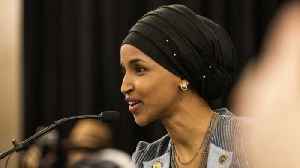 Democrats plan a vote on Wednesday rejecting anti-Semitism, without mentioning Omar..
U.S. Rep. Max Rose, a Jewish New York Democrat in his first term in Congress, apologized to visibly frustrated constituents at a town hall in Staten Island on Tuesday for not "protecting them" from..
WASHINGTON (AP) — President Donald Trump can’t get enough of Rep. Ilhan Omar. 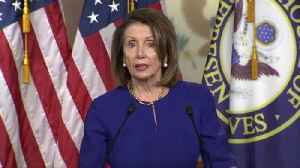 As Democratic lawmakers try to turn the page after the liberal legislator’s use of anti-Semitic tropes ignited an..
"Those who engage in anti-Semitic tropes should not just be denounced, they should face consequences for their words." 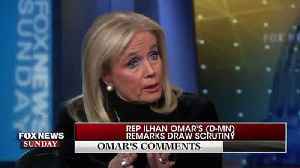 Minnesota Democrat Ilhan Omar is apologizing for criticizing supporters of Israel after a blast from her own party leadership. 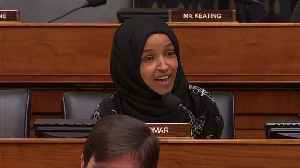 She said in a statement: "Anti-Semitism is real and I am grateful for..
Rep. Ilhan Omar issued an apology Monday in response to bipartisan criticism of comments she made over the weekend that Democratic party leadership deemed anti-Semitic. 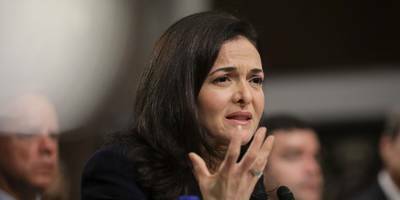 Omar was criticizing what she..
· *Facebook's board has come out in support of COO Sheryl Sandberg. 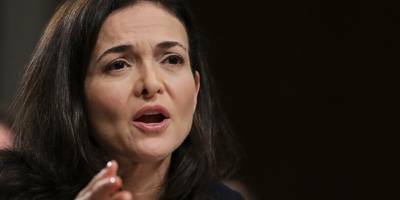 * · *Sandberg has been under heavy criticism over her involvement in efforts to investigate George Soros and critics of..
· *Facebook COO Sheryl Sandberg is facing unprecedented criticism following the company's most recent scandals. 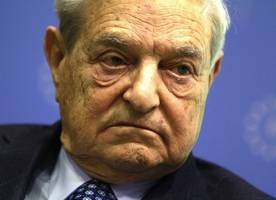 * · *Investors are now asking whether they should be worried if Sandberg, who is CEO..
Over the past several months we've frequently noted the devolving relationship between Hungarian Prime Minister Viktor Orban and billionaire financier George Soros. Tensions escalated last month when.. The independent student newspaper at UC Berkeley has removed an editorial cartoon from its website that critics including UC Berkeley’s chancellor called anti-semitic. The depiction of attorney Alan..
Campus police at Washington University in St. Louis alerted local and federal authorities last month after an unnerving, anti-Semitic voicemail was left for a university librarian. The librarian,..
American Jews have been rocked in recent weeks by a growing wave of anti-Semitic threats and incidents, culminating in this week’s shocking desecration of a Jewish cemetery in St. Louis. In light..
General Mike Flynn, Donald Trump’s pick to serve as his national security adviser, met several weeks ago with Heinz-Christian Strache, the head of Austria’s anti-immigrant Freedom Party, which was..
Maybe you’ve heard of the “Five Stages of Grief.” First, there’s shock and denial. That’s what I experienced on election night. “This isn’t happening. This can’t be.. If anything has been made clear since President-elect Trump’s election, it is the telling reactions to his most controversial move yet, in selecting Steve Bannon as his chief strategist in the White..
Donald Trump seemed to run harder against the media than against Hillary Clinton some days. One was “dishonest,” he’d say, the other “crooked.” And neither, he argued, was on the side of.. 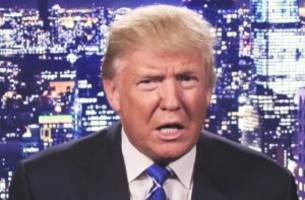 Fairly early into his speech in Michigan on Sunday night, Donald Trump stated that five years ago he had been honored as Michigan “Man of the Year.” Except it appears no such honor was ever..
Has it been only five paranoid, divisive, dishonest, self-pitying, conspiracy-filled, societally degrading days of Donald Trump since Wednesday night's debate? Hard to believe. For Trump has made the..
As the country looks toward November 8, it is important to remember that there actually is something more important than the results of the upcoming presidential election. The biggest issue at stake is..
Anti-Defamation League CEO Jonathan Greenblatt warned on Twitter Thursday that Republican presidential candidate Donald Trump's rhetoric was bordering on tropes historically used to ferment hatred of..
Dear Mr. President: As we enjoy this holiday weekend and celebrate our country's Independence Day - a time that brings great pride and introspection about what this country means and should stand..